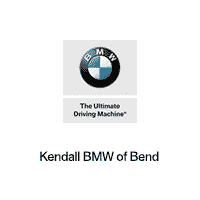 BMW of Bend has been offering exceptional sales and service in Central Oregon for many years. With the entire BMW product line from the exciting new 2 Series, 4 Series, X3, X5, and now the electric i3 and i8 super car, we have a vehicle to suit every interest. We offer a great selection of new and used cars, competitively-priced BMW CertifiedPre-Owned vehicles, as well as BMW parts and service. Be sure to visit our Finance Center to learn more about how we can help you secure an auto loan. BMW of Bend’s General Manager Jessica Dominic and team are committed to complete customer satisfaction and are confident they can help you find exactly what you’re looking for. Even though our car dealership offers big city savings and selection, you can always count on us to be your hometown dealer. For over 75 years, Kendall has been giving back hundreds of thousands of dollars to local charities and organizations that support families, children, and education. Through our Kendall Cares program, we donate and invest in the communities we serve by supporting a variety of causes like youth development and health care for the underserved. We care about what you care about. Our mission at BMW of Bend is simple: To deliver an unrivaled customer experience. Through our highly motivated, knowledgeable, and caring team of professionals, we pledge to listen and respect your needs. Doing the right thing means more than selling and servicing vehicles. Our progressive attitude means being exceptional stewards of the communities we operate, as well as the environment. It means going above and beyond every day for the people who mean so much to us–our customers.